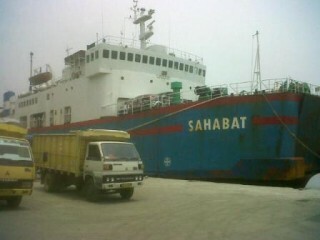 The 72 meter long, 541 dwt ro-ro ferry KM Sahabat sank off Jakarta, Indonesia. The ferry was en route to Tanjung Pinang with 139 passengers and 26 crew in calm seas. An hour into its journey the weather worsened. Waves reached 5 meters causing the vessel to lose steerage. The KM Sahabat capsized onto its starboard side. The master ordered crew and passengers to don life jackets and abandon ship into the vessel’s life raft. An SOS signal was sent out and 3 to 4 hours later several tugboats arrived on scene. Seven people were reported missing. Three others were rescued and taken to hospital for injuries.